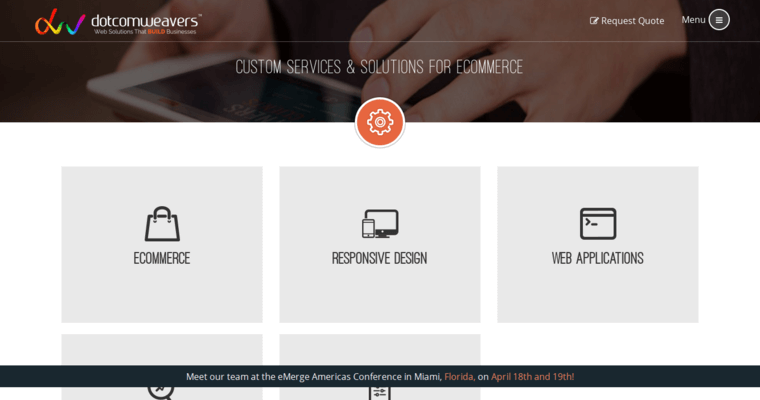 Dotcomweavers is a global web design agency that has a deep talent pool. This company operates a large office complex in Hyderabad, which primarily appeals to clients in India and other parts of southeastern Asia. Additionally, this firm works with North American clients via an office in the suburban town of Paramus, New Jersey, United States. In fact, this U.S. office is within close proximity to New York City. 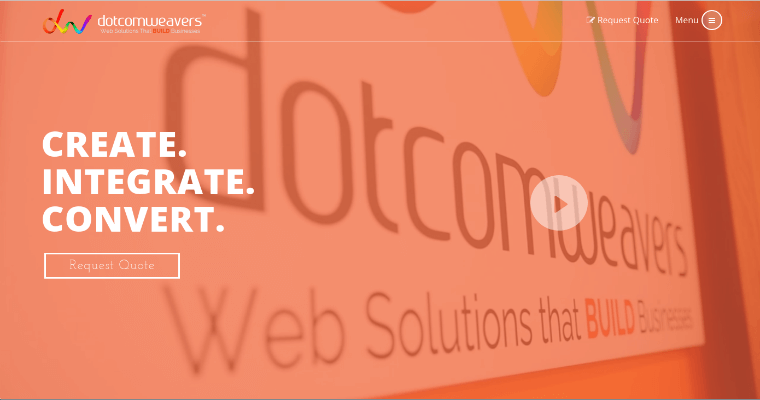 Therefore, it's easy to see how Dotcomweavers forms an international nexus in the world of web design and internet marketing. 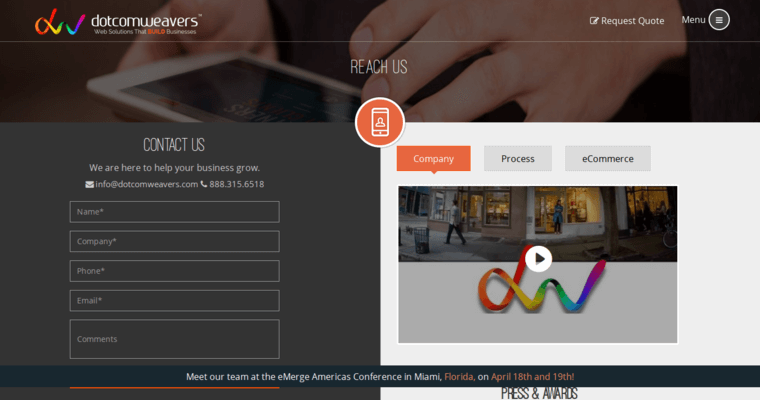 Responsive web design is one of many services offered by this company. This type of solution is ideal for websites that have been designed exclusively for desktop platforms. In today's age, it's critical that domain names be crafted for mobile platforms such as Android and Apple iOS. Dotcomweavers can easily modify outdated sites by adding new HTML and CSS syntax along with other scripts.